So what’s up with the long hiatus from new posts? In short, Caregiving for elderly grandparents while maintaining even VERY part-time work from home and homeschooling is exhausting mentally, physically and emotionally. Leaving very little creative juice for creating amazing unit studies that challenge a now middle schooler and are worth posting about. To take some of the load off we used online curriculum for the past two years – DiscoveryK12 (5th grade) and MobyMax.com (6th grade). Neither program was perfect but it didn’t require a lot of hand-on administration from me which made it ideal for our circumstances. Again, not much post worthy there. Academic progress was made, state requirements were fulfilled, and we made it through a couple of very hard years. So here we are, entering 7th grade, mourning the loss of one grandparent while the other – who doesn’t require constant care – is still in need of daily assistance. We’re returning to more of a hands-on, offline schooling, primarily at my son’s request. More structured and with more textbook than our early grades but with more room for creativity and combining subjects into unit studies than online schooling allowed. In some ways, the past couple years may have set us back a little academically. By third/fourth grade we were doing work that was in many ways beyond the “typical” grade level work. If we had continued on a more interest-led, deepening study of those subjects we might be even farther now than we are. But the past two and half years have given us so much more than book smarts. The opportunity for my son to really know his great-grandparents and have a close relationship with them is priceless. And the growth in the sense of personal responsibility and competency in so many real life situations is much more valuable. 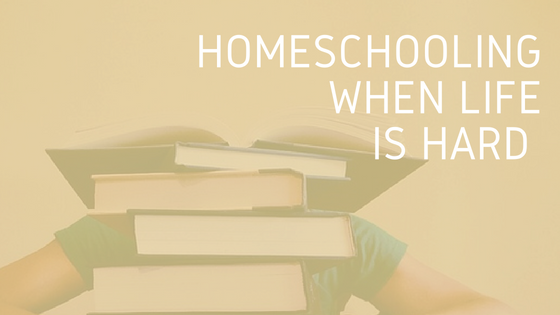 This perspective, as much as anything, keeping me from the endless “Am I doing enough?” questions that would make our homeschooling journey anything but stressless. Going forward I hope to be able to blog about some interesting and share-worthy projects and lessons. We have some ambitious plans going forward and I’m exciting to be creating some resources for our own use that I think others may benefit from as well. My home school planner is already making my life easier. So stay tuned and if I disappear again for a while it’s probably just to deal with life as it comes.